The Mission of Converge MidAtlantic is to start and strengthen churches. Resonance Church was actually started with the assistance and support of Converge. 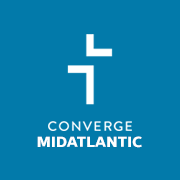 Converge MidAtlantic is one of 11 regional expressions of Converge, a dynamic movement of 1,250+ churches across the US, with global outreach in 29 nations worldwide. Watch a video featuring Pastor Aron from early 2016 with more information about who Converge is below.